I'm afraid of how I might feel afterwards. I donated some money this morning to the Red Cross and was thinking of going down to the Astrodome and volunteering to help serve food or whatever. Then I thought about how I keep feeling like crying when I watch the news and I'm suddenly not sure I really can handle seeing all of those people in person. It's one thing on TV and quite another when your right there. I don't think I'm strong enough to deal with that, right now. 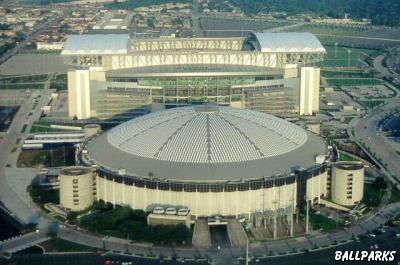 So I've decided not to go to the Astrodome. At least not today. But there must be something else I could do that wouldn't mean I'd have to be right down there in the thick of things. Pondering, pondering and then I got an email from a friend and it said they needed help packing orders at the Houston Food Bank. I can do that and so tomorrow morning I'm going to. I emailed the guys to see if they want to come too. I've also decided to mark my calendar and try and volunteer next month when the thrill of helping others has worn off and the volunteers will not be so many. Guess I'm getting cynical in my old age. About moving. I'm trying to train Max to be a calm dog while I'm away and he's in the house. I'm just leaving him here alone for 5 or 10 minutes a couple times a day. So far, so good. I really don't want to cage him. This really isn't a good time to be looking for a new apartment since I have a feeling there is going to be an influx of people doing the same. I guess I'll just wait and see what happens. You are right about the thrill of helping others wearing thin.